Trying to write a book review for Wild Mind is like trying to hand you a map of the planet. It’s challenging if not impossible. Imagine trying to condense all the details of Earth’s wild, expansive terrain onto the head of a pin. And this review is not meant to scare you away from doing the rewarding work of psycho-spiritual development. Nor is it meant to entice novices into depth psychology work. This book review is here to engage someone that has heard of Bill Plotkin, the North, South, East, West facets of the self. Perhaps you’ve even heard of the descent to soul and ascent to spirit. But you need a bit more of a glimpse into what these things mean for the journey of becoming a whole human being. I will provide a lengthier glimpse into the North Facet of the Self, but for the sake of brevity, in this book review I will only provide very basic overviews of the other facets in Plotkin’s book (East, South, and West). The emotional and psychological work you are invited to in Wild Mind is no joke. Some of the suggested work is trauma-oriented and should not be taken lightly. You may need to consult professional help, and you should not undertake deep development without having access to the resources you will need for the journey. 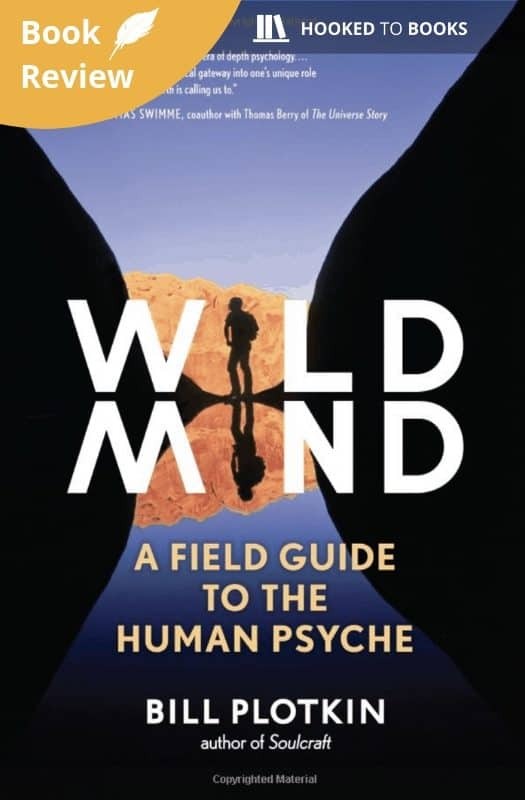 Warning: This book review for Wild Mind by Bill Plotkin is written to provide a basic overview of some (but not all) aspects of the book. Notwithstanding the above, I highly recommend Wild Mind to anyone up for the wilderness journey. Let’s get started by asking a few questions. Who is Bill Plotkin, Ph.D.? Bill Plotkin is a “psychologist gone wild” who heads the Animas Valley Institute in Colorado. He is a pioneer in depth psychology. He created a unique, nature-based map of the human psyche that serves as a field guide to people seeking greater wholeness as humans. Bill’s work is focused on individual and cultural maturity. You’ll find words like “ecocentric consciousness development” that might come across brainy. Basically, ecocentric living means bringing people into greater solidarity with nature. What makes Bill Plotkin and Wild Mind different? Many psychologists, gurus, and advisors, feel that when you discover problems or issues, there’s a simple solution called a disease. There’s a problem that needs fixing. How to solve the problem? Take a pill. Get a quick-fix. In the same way that conventional medicine searches for underlying causality (versus symptom-oriented solutions), Bill Plotkin (and all depth psychology, really) believes humans are fundamentally whole. Psychologically and spiritually, the focus point is not trying to cure diseases and fix problems, the focus is growing up, developing, and maturing our capacities for wholeness. Want to know more about depth (Jungian) psychology? Check out James Hollis’s The Middle Passage, Swamplands of the Soul, or the Eden Project. What’s so “Wild” about the Mind? The groundbreaking acknowledgment that Bill Plotkin’s book Wild Mind: we must accept that what we are made of is the stuff of nature . And nature is wild. This is what I had to see before I read the book. Without this acknowledgment, I was stuck thinking that cardinal directions are an odd way to approach the mystery of my “self”. What is the Nature-Based Map of the Human Psyche? The nature-based map of the human psyche is a model of observing four fundamental capacities that humans are born with the seeds of. These seeds are meant to naturally progress in their development over time. Unless they don’t. And therein lies the problem with an immature society, or an immature individual: stunted growth. Our growth can happen when we consciously give attention and care to our development. Bill’s book Wild Mind gives us one way of approaching that wholeness-oriented work. Below is a brief, and I mean a very brief overview of the facets of the self. If you don’t buy this book, you can still benefit from hearing these models of thinking, and noticing which of them you may need to pay a bit more attention to in your own life. The North Facet of the Self is the side of you that empowers, nurtures and guides your wounded child (South subpersonality). The tender places in you that are hurt and confused are seeking clarity, guidance, and understanding. You need the adult side of you. Ultimately, the child in you needs to be seen and helped. You can offer approval, acceptance, care to your wounded self, but often we neglect this kind of self-love in favor of self-sacrifice. Shameless Hard-Sell Pitch Incoming… go read Wild Mind. Get it today. We as a species and civilization are hurting without our wholeness. Humans are chasing “drugs of choice” for our sick hearts. 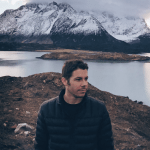 We’re desperately craving connection with a larger sense of purpose, meaning, and we’re starved for presence and connection to the moments that seem to speed past us every hour, every minute, of every day. This book invites the reader to awaken to their deeper, truer self. And in a very practical way. Bill Plotkin offers comprehensive and in-depth practices for the reader to engage in, case studies and examples of transformational work. Most importantly, Plotkin shares painfully true, visionary leadership where it is much needed. The homework assignments at the end of each chapter will be time-consuming, but ultimately enriching and indescribably rewarding in more ways than I can name here.